We’re sure you are asking yourself…..Why should I put a sealer on my concrete pavers here in Las Vegas? That’s a great question and one we get asked most frequently. There are several reasons why you should put a sealer on your concrete pavers, but let’s start with how the pavers are laid and what that surface consists of. Concrete pavers are not just laid down on just any surface. There is a very crucial process that has to be done very carefully before the initial installation of your concrete pavers. The base is composed of a mix of gravel and sand and must be leveled out consistently to accommodate the concrete pavers in a uniform matter. This is one of the major reasons that your concrete pavers need to have a specific paver sealer put on them. There are several other reasons to put a sealer on your concrete pavers here in Las Vegas and we are very much the experts as to tell you those. First off, since the concrete pavers are placed on such a delicate base surface, that can cause some chance of them moving or shifting. By putting a good solid sealer on your concrete pavers, you actually prevent that process from happening. You will also prevent the loss of the fine sand that is placed between your pavers as well. If you think about it, the base is really something that would provide a great habitat for weeds, grass, and moss to grow in if there is water or moisture added to the picture. That alone is a major reason to have the paver sealing product put on your concrete pavers here in Las Vegas as weeds and other pollen is common here in our desert climate. Another major reason to put paver sealing on your pavers is to keep oils and grease, especially if the pavers are in an area where vehicles can travel or be parked on. Using a paver sealing product on your pavers in high traffic areas where oils and grease can build up will definitely prolong the needing to have maintenance on your concrete pavers. This is true even if your concrete pavers are on a patio or pool deck area where foot traffic is heavy. The concrete sealer will enhance your beautiful paver area and keep it from needing routine cleaning for much longer of a period of time. Other reasons why you would want to definitely have a sealer put on your concrete sealer on your pavers here in Las Vegas is it will really help them to resist our harsh desert climate and the incredible heat from the sun that can cause fading and even break down the concrete pavers. Also, the paver sealing process puts a beautiful shine on your pavers that really enhances the texture, color, and brightness of the beautiful concrete pavers. 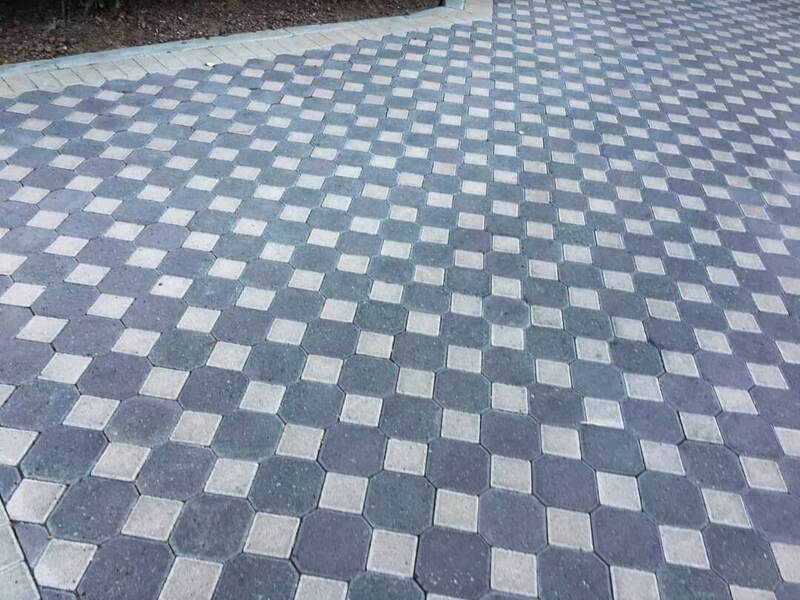 Finally, one of the biggest reasons to put paver sealing on your concrete pavers here in Las Vegas is that let's face it…..we’re in a desert! Ants, scorpions, and a ton of other insects are extremely relevant in our desert climate. By putting a sealer on your pavers, you are also preventing an infestation of those hard to get rid of critters. That alone can cost several dollars alone in extermination fees just to get rid of the silly little farms that they can build extremely fast. Now that we’ve explained all of the reasons for putting a sealer on your concrete pavers or even replacing the current sealer that you have on some older pavers, you can rest assured that LasVegasSealing.com is your one-stop shop for all of your paver sealing needs. We are definitely the experts in the field and we do all of our work with our full-time professional staff. We here at Las Vegas Sealing never subcontract out our work and you will be amazed to see how prompt and fast our staff can perform the concrete sealing process. No job is too small or too big. We can provide our services from residential, larger HOA communities, and even larger apartment and hotel properties. Give us a call today so that we can come out and evaluate your specific job and we’ll provide you with a no obligation, free estimate on your next concrete paver sealing job today.